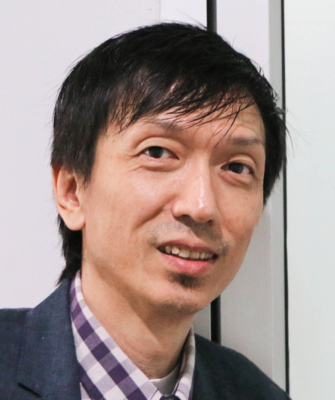 Multichannel network leader Thoughtful Media Group has expanded its presence in Southeast Asia by appointing advertising veteran Bani Tan as SVP, Malaysia & Indonesia. Thoughtful Media Group (TMG), an LA-based entertainment company, has expanded its presence in Southeast Asia by appointing advertising veteran Bani Tan as SVP, Malaysia & Indonesia. TMG creates, maintains and aggregates online video channels that have unique and engaged audiences and helps the world’s leading marketers and their agencies effectively reach these audiences. Mr. Tan’s responsibilities include growing the company’s network of channels in Malaysia and Indonesia and establishing offices for business development and ad sales in Kuala Lumpur and Jakarta. Based in Bangkok, he will also work alongside Somyot Chairat, Managing Director, Thailand & Vietnam, on pan-regional clients and operations in Southeast Asia. While TMG opened a Shanghai office over four years ago to grow in China, the world’s largest online video market, Mr. Tan’s appointment marks a major step forward for the company’s nascent Southeast Asian presence. Earlier this year, Thoughtful opened an office in Bangkok to oversee the multichannel network’s operations in Thailand, Vietnam and the Philippines, markets that have already shown promising results. In Thailand, TMG already has signed more than 300 channels, delivering nearly 75 million views per month on YouTube. “The world of marketing communications has changed so much since I started as a creative director. Now we can harness the amazing talent in the digital video space through the thousand’s of talented creators in the Thoughtful network. It’s a truly exciting opportunity to help unlock their potential for marketers in Indonesia and Malaysia,” said Mr. Tan. For the past two years, he was Managing Director, Thailand at Geometry Global, a WPP Group activation company formed by the merger of G2, OgilvyAction and JWTAction. His career began at agencies like JWT and McCann Worldgroup in Malaysia, and he has held senior roles in Indonesia for McCann, Momentum Worldwide and Bates 141. “I first met Bani when he was running McCann's Momentum division in Jakarta, where he was based for five years. He tripled revenue at the division and created the largest experiential marketing company in Indonesia, so getting him on board at Thoughtful has been pretty high on my ‘wish list’ for a while,” said Mark Ingrouille, Thoughtful’s EVP, International Operations. Indonesia’s digital video market has exploded in recent months in tandem with improved broadband accessibility and rapid economic growth, while Malaysia has become an important regional hub for online video channels. Globally, online video is already the fastest-growing category among all categories of advertising expenditure, thanks to the explosion of mobile video consumption and the spread of internet-connected devices, such as smart TVs and games consoles. ZenithOptimedia estimates that global online video grew 34% to $10.9 billion in 2014, and forecasts it to grow at an average of 29% a year to reach $23.3 billion in 2017.